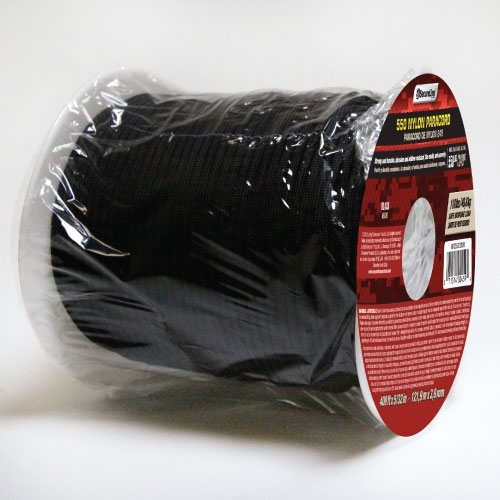 Full roll of 400 ft. black 550 Paracord. Strong and durable. Abrasion and mildew resistant. Ties easily and securely. Safe working load 110 lbs. Maximum load 550 lbs. SecureLine.